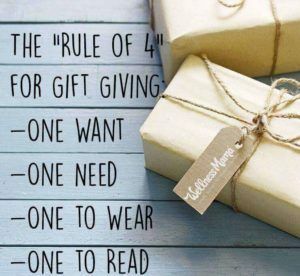 In the midst of holiday gift giving, I can’t help but think about the fact that often these well-intentioned gifts eventually lead to more stress, for the giver and the receiver. So much so that over time my husband and I decided to give experiences instead of material gifts as much as we can. 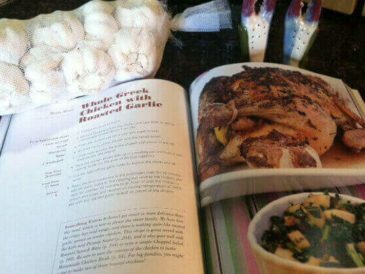 After a few years of trial and error, this is now pretty much the norm in our family … and the results are amazing! Even last minute, an experience gift can be easy to arrange, thoughtful, and rewarding to both giver and receiver. 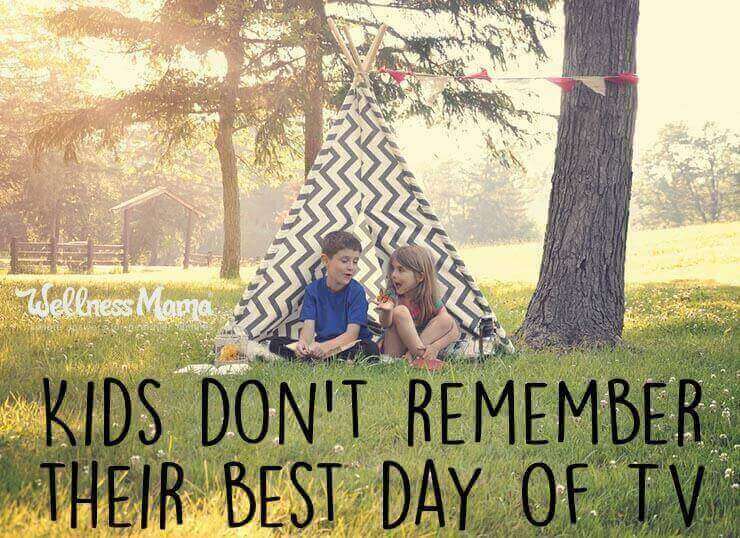 Going to the movies as a family, taking a painting class, making pottery, learning to scuba dive, or simply receiving a homemade “spa day” and a night off with the remote control … these are priceless memories or skills that last a lifetime. As every parent has inevitably experienced at some point, the joy of material gifts fades quickly and even the most anticipated Christmas toys soon become a chore to clean up. The dramatic success of the book The Life Changing Magic of Tidying Up provides a hint that perhaps many of us feel that we simply have too much stuff (short summary of the book = throw most of it away). Turns out, we probably do! Think for a second about your grandparents’ home when you were growing up. If it was anything like mine, it was probably a small house with even smaller closets. And the closets were not that full. And they raised six kids in that house! They also didn’t need drastic storage and organizing solutions or extra storage rental units. Fast forward to present day. 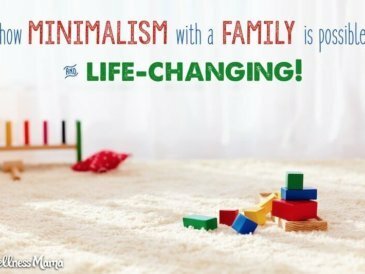 Joshua Becker, my favorite expert on the topic of clutter and minimalism (see my interview with him here), shared some sobering trends in this fascinating article on his Becoming Minimalist blog. Back in 2013, the LA Times reported that the average American home has over 300,000 items in it and there are over 50,000 storage facilities nationwide (and this is the fastest growing real estate segment!). At least 1 in 10 of us have a storage unit to store our excess stuff. There are five times more storage facilities in the U.S. than the number of Starbucks! There is enough physical space for every man, woman, and child in America to stand in U.S. storage facilities — all at the same time! Do we really have so much more stuff than people did just two generations ago? Our grandparents had an average of nine outfits, including dress clothes and work clothes. The AVERAGE family spends $1,700 on clothes annually while giving or throwing away over 200 pounds of clothes per year. The average child in the developed world owns over 200 toys but only plays with 12 of them on average per day! Even crazier? Only 3% of the world’s children live in the US, but they own 40+% of the world’s toys! We have and consume twice as many material goods than we collectively did 50 years ago, but statistically we are much less happy. 54% of us report being overwhelmed with clutter and 78% of us have no idea how to overcome it! Over the course of our lifetime, we will spend a total of 3,680 hours or 153 days searching for misplaced items. The research found we lose up to nine items every day—or 198,743 in a lifetime. Phones, keys, sunglasses, and paperwork top the list. Certainly, there is much more to why we are less happy than we used to be than just the excess clutter, but statistically, it is a contributor, and an easy one to address. 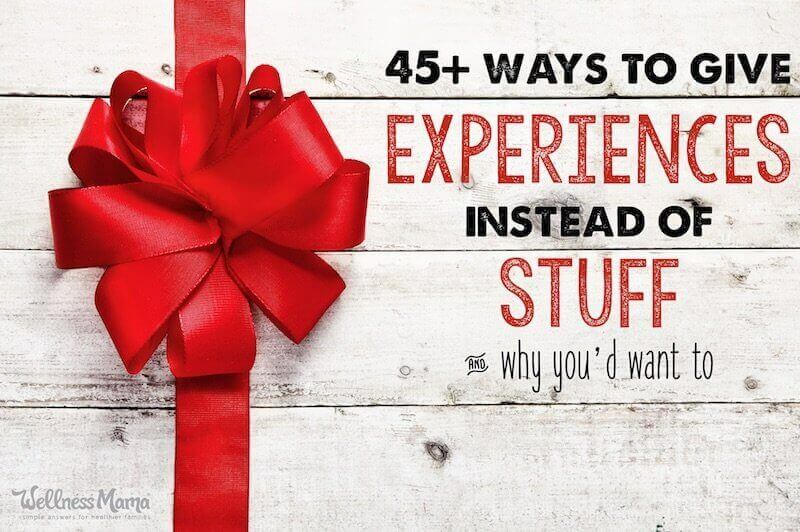 Why Give Experiences Not Stuff? A researcher named Thomas Gilovich at Cornell University has spent more than a decade trying to understand why experiences have the ability to contribute to happiness so much more than material purchases. Along with another researcher, Matthew Killingsworth, he published this research in the Journal of Psychological Science showing that experiences provide more lasting happiness than material possessions. They basically concluded that people tend to get less happier with material purchases over time, and more happy with experiences. They speculate that this is because we adapt to physical things, so even the nicest car or newest phone becomes commonplace after enough time, while memories tend to get fonder over time. Gilovich and Killingsworth found that we remember even negative experiences fondly as a funny story or bonding experience. Experiences are also a uniting factor. You are more likely to bond with someone who enjoys the same hobby or activity or has traveled to the same places that you have than with someone who has a similar possession. The anticipation leading up to a family trip, event, or experience even has the potential to provide happiness itself, making it the gift that truly keeps on giving! Happiness in the anticipation, happiness during the experience and happiness in the memories. Beats the heck out of a pile of toys that you trip over while tucking the kids in at night! As important as shared experiences are for adults, they are even more important for children and for healthy psychological development. 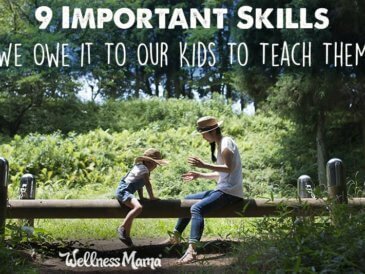 In fact, shared family time (even in simple things like family dinner together) is drastically important for a child’s well-being (much more important than the dozens of extracurricular activities we often neglect family time for). 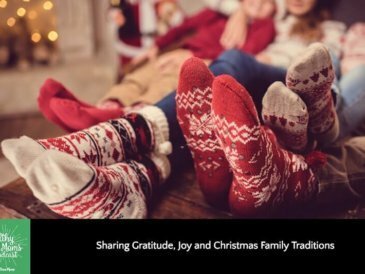 Of course, these shared experiences can be as simple as time spent together during/preparing meals, while driving, or reading stories before bed, but prioritizing shared experiences as gifts helps reduce unwanted material items and fosters family bonding. The “Want”: One Material Gift – Despite my preference for experiences, we do get one gift for each child that is strictly something they want. Often these end up being experience gifts as well like craft supplies or a sewing machine or the Gorilla Gym that has been a favorite in our house for years. Sometimes they are also educational gifts like a Roominate set, a Perplexus puzzle, or bulk Legos. 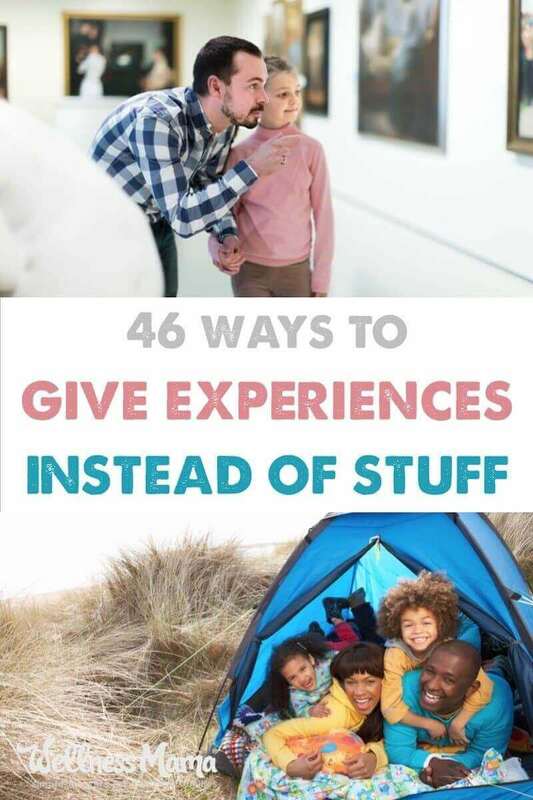 The “Need”: Experience Gifts – Each child gets at least one experience gift per year, and often we get them several more experience-based gifts as well (see my full list below). Since family experiences are so important for us, we consider these gifts a need so we prioritize and budget for them. The “Wear”: Clothes – I’ve created capsule wardrobes for my kids and for holidays they often get one clothing item they need like a new coat or hiking boots. This may also be something fun, like dress-up clothes, if they don’t need any new clothing. The “Read”: Memory Books – We try to take the kids to the library often since they get to choose so many new books without them taking up room on the shelves, but our kids do get a different kind of book as a gift. Each year, I keep a folder on my desktop for each child and throughout the year add pictures from field trips, birthdays, daily hikes, camping trips and other fun memories. At the end of the year, I compile each child’s photos into a hardcover book that I print through a photo service (like Shutterfly). This is my favorite gift to give them each year since it helps them relive and remember everything we did as a family that year, and it is a gift that they can take and show their own families one day. These books end up being the favorite gift every year (and bonus, the photo service saves them so I can reprint if one ever gets ruined!). In addition, each child gets fun (and sometimes practical) stocking stuffers. What About Extended Family Gifts? It has taken a few years, but extended family is now on board and the kids cherish the time with other family members as well. One year a family member took our daughter to see the Nutcracker, and grandparents often give memberships to museums or zoos, or gift certificates to go to a movie or lunch. At the end of the day, we can’t (and shouldn’t) control what extended family chooses to give our children. 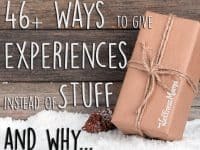 Personally, I’m very grateful that our family has decided to prioritize experience-type gifts as well, but even if they didn’t and decided to still give material gifts, we would welcome these and teach our children to be grateful for these gifts (as the relationship with family is more important than arguing about the gifts). The average parent spends over $250 per child on toys and gifts each year! While experience-type gifts can be a little more expensive up-front, they end up being much cheaper in the long run. Especially when we consider that with that average, we’d spend over $1200 on gifts for our children, we don’t mind spending even a couple hundred dollars on a worthwhile membership or experience that will last all year. The move away from material gifts was a slow one for us. We’re always adding to our running list of ideas, and each year we try to choose a few that sound suited to our current family ages and interests. Escape Room – These are popping up everywhere and run about $15-30 a person. Check to make sure the theme is family friendly, but this is an ideal group activity Mom, Dad, and older kids can do with extended family for some fun quality time. Museum Memberships – Check around for local museums that offer annual memberships. Many offer discounts for local residents or have programs for kids. We have found great deals on local art and history museums. Science Center Memberships – Many cities also have a children’s museum or science center with an annual pass option. We found that it was cheaper to purchase an annual membership to a nearby science center than for our family to go one time! This is a great place to go on a rainy day and is a common destination for our Friday fieldtrips. Orchestra Season Tickets – Even though we don’t live in a large city, we have a local orchestra that preforms every couple of months. I called and found that season tickets for children were extremely affordable (less than $8 a show) and this is now a fun family activity that the kids look forward to. Community Theater Tickets – If you have a local theater, take children to these as well. This was our big family gift last year, and we got a few season tickets. My husband and I get to go to the more grown-up performances as date nights and we alternate taking the older kids to performances that they enjoy (like Annie, Rudolph, etc.). Minor League Baseball Tickets (or college, or MLB)– We all love baseball (because it is the best sport 😉 ) and season tickets to our local minor league team have been a great family outing that lasts all summer long. Really, any sports ticket (college, pro, etc.) is a great family activity. Nature Center Tickets – Check for local nature areas or nature centers in your area and see if they offer an annual pass. We’ve found these for nature centers, a local cave, and state parks. Local Attraction Season Passes – Any other local attraction with a season pass can be a great gift. Check for other types of museums, historical sites, or local attractions. New Family Hobbies – Take up hiking, camping, card games, a sport, or other fun activity and get the necessary equipment or passes for your new hobby. Be Puzzled – Feeling brave? This 33,000 piece puzzle is the world’s largest. It might take you the whole year to put together and will foster a LOT of family time! Fun Family Outing– Plan in advance a trip to a local amusement park, a family vacation, or other activity. Remember, looking forward to an experience makes the experience more fun and fosters happiness on its own! Volunteer – Truly a gift that keeps on giving. If possible with your kids’ ages, volunteer at a local food pantry or charity and give your kids (and yourself) the gift of helping others! 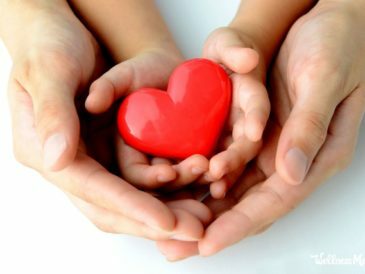 Give to Charity – Another favorite in our family- we designate about $100 in end of year contributions per child to let them decide how to give. Most often, they love choosing gifts like farm animals, fruit trees, or educational supplies for those in need around the world through programs like Food for the Poor. Local Pottery Painting – An absolute favorite with our girls. Our local pottery place has dozens of options to paint and this has been a fun activity for the kids (and me!). Either pick out some unpainted places to paint or get a gift certificate. Pottery Making – For older kids, some places offer pottery making lessons or classes. Rock Climbing – Have a local rock-climbing gym? See if they offer annual passes or pick up gift certificates for a climbing outing with older kids. Bonus: It is a great way to get exercise too! Local Jump Gym – Another fun activity that helps kids stay active. See if you have a local jump gym or indoor trampoline center and get annual passes or gift cards. Batting Cage Membership – For a child who loves baseball, look for a local batting cage that offers year-long memberships or bulk discounts on packages. This is a great way to stay active and a fun outing with your child. Bowling or Skate Tickets – These are getting harder to find, but if you have a local bowling alley or skating rink, ask them about family passes or gift certificates. Treasure Hunt – If you are giving a material gift, make the giving itself a fun experience. Instead of wrapping up the final gift, wrap up a clue and let the child go on a treasure hunt to find the final gift (or figure out what it is and go with you to get it!) This is especially fun for a larger gift or experience! Geo Caching – Speaking of treasure hunts, geocaching is fun, free way to go on a treasure hunt with your kids almost anywhere in the world. You can learn more about it here. A New Skill – If your child wants to try horseback riding, sewing, painting, or other similar activity, give them classes or ways to experience and develop this new hobby or skill. To keep it low-cost, see if you can find a family member or an elderly member of your community who might enjoy passing on the skill at a lower cost. Lunch Dates – Give gift certificates to a favorite breakfast or lunch place to a child and plan a one-on-one date with that child. Movie Tickets – We don’t go to the movies often, but often there’s some great family movies coming out around Christmastime. Question Book – My kids all love this Question A Day Book and it gives us a fun conversation starter each day. The “question book” is a fun pre-bedtime activity at our house. Craft Bucket – One of my favorite Christmas gifts as a child: a basket of craft activities that lasted me a year! My aunt filled a large basket with scissors, paper, glue, string, and every other craft supply imaginable. That basket led to dozens of hours of fun for me as a kid, and now my girls sometimes get activity baskets like this with crafts we can do together. My kids love getting books about how to draw, painting kits, sticker pads, construction paper, and other craft kits. Garden Kit – Just like crafts, gardening is a great activity to do with children. If you have a budding gardener (pun intended) on your hands, wrap up some seeds and gardening supplies and let your child help you garden all year! Musical Instrument – A favorite gift one Christmas was a steel drum that my husband has been teaching the kids how to play (though I admit, on a couple of especially loud days I have regretted the idea!). This is the one we got, and they have loved learning to play it. We’ve also ordered mini musical instrument kits for the kids to all create their own music. Movie Night Packages – Our children don’t watch much TV, but we do love family movie nights. To make the tradition even more fun, we wrap up a new family movie DVD and some healthy snacks in a box for each child to let them “host” the movie night. Game Night Packages – A game night is another great family activity, and giving each child one game was a fun way to expand our collection and they love playing “their game” when we have a game night. Some favorite games are Apples to Apples, Tsuro, Uno, Sequence, and basic card games. Or just get a bunch of soft bouncy balls and have an indoor “snowball” fight minus the snow. Really brave? Get enough nerf guns for your family and challenge everyone to a nerf war! DIY Gifts – My kids have enjoyed getting the supplies to make homemade soap, lip balm, lotion, or other DIY items that they can use or give as gifts. (Bonus: they are learning new skills too!) This paper-making kit was an especially big hit! Home Brewing – My hubby likes beer and I prefer when he drinks organic (or at least non-GMO) beer. A few years ago, he got into home brewing beer and it has been a fun hobby for him. I’d recommend this book to learn more about brewing, and while there are pre-made brewing kits, I’d suggest talking to a local home brew store if possible to find out what supplies and ingredients he will need. Sports – Any sports-related experiences have been a hit with my hubby. I think my biggest (and most expensive!) surprise for him ever has been to get to go to spring training for his favorite team and even get to play with some of the players, but tickets to see his favorite teams play have also been a big hit. These all tend to be more expensive, so I had to save for several years for one of these surprises, but I think it ended up being an amazing and memorable experience for him. Outdoor Activities – This will vary a lot depending on the guy, but finding ways to support outdoor experiences he already loves is a great gift idea. This might be finding time to camp as a family, or for him to go hunting, hiking, or play sports. Skydiving – Is your guy adventurous? Skydiving is a ton of fun and many cities have a local place you can go. Memes abound online about mom enjoying going to the bathroom alone, or her hobbies including eating without a child in her lap or sleeping in. These are some practical experience gift ideas that every mom will enjoy! Since moms deserve every good thing (ok, I know I’m biased), here’s a list of material gift ideas I’ve loved receiving as well. A Day Off – Moms work hard all year, and things seem to get even busier around the holidays. One of my favorite gifts ever was a series of “days off” that I didn’t have to cook, clean, or have any household responsibilities (and it included a gift card to go out for coffee!). Even better (hint to dads), get together and schedule a moms’ night out for several of your wives to go to dinner together! Pampering – With that whole “motherhood is pretty hard work” thing, any kind of pampering is an awesome gift, and one that mom may not do unless it is a gift. Massages are my personal favorite! Date Nights – Getting time along can be tough with kids, so some of my favorite gifts ever have been pre-planned date nights when my husband handled the arrangements, lined up a sitter, and made the plans. A Nap or Getting to Sleep in – This may be one of the toughest gifts to pull off, but one of the most appreciated. If you can figure out how to let mom sleep in for a day or take a nap, she will be grateful! Any Family Gifts – Any of the family gifts listed above are also a great option to get for moms as they’ll enjoy the family time and the idea of an activity to do with the kids. Day Out with Kids – This has been a favorite for grandparents to give to the kids, but also to receive. The kids pick a fun activity they want to do with grandparents or extended family and give it to them as a gift. It might be something like going out for smoothies or playing at the park, or even a trip to the grocery store to gather ingredients and cook a meal together. Amazon Prime – I know several extended family members who use Amazon all the time, but did not want to pay for the Prime membership. In the past, we’ve given these family members a Prime membership (click on “give the gift of prime” and enter their email address). This is partially a material gift as well, but tends to make purchases they are already making faster and easier. Memory Book – Either make a photo book with a company like Shutterfly that showcases some favorite memories with the recipient, or let your kids make a homemade book by printing and cutting out pictures and writing captions. Membership Add-Ons – For grandparents who live close by, you may be able to add them to any of the family memberships listed above. We added guests/grandparent options to our zoo and science center memberships as well as to many of the local attraction places. This allows them to come for free and spend time with our kids (and is a bonus for us as well, since we have extra eyes to watch and help with the kids.